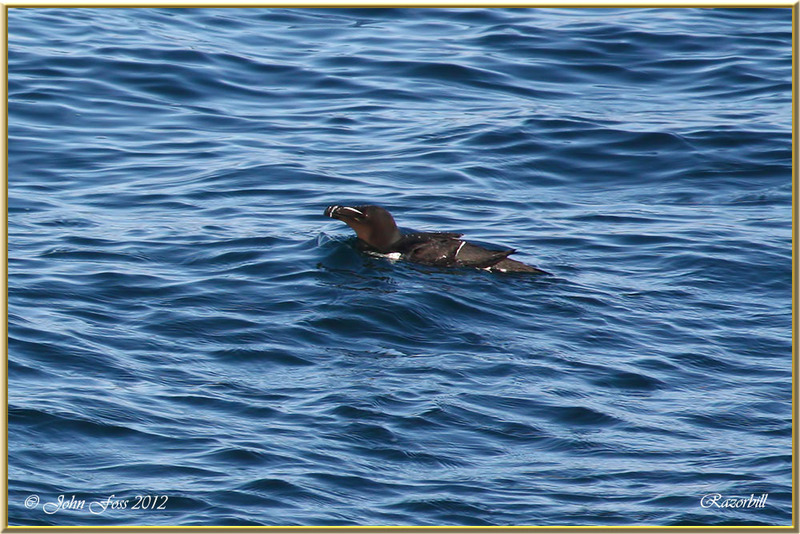 Razorbill - Swims underwater to forage for food. 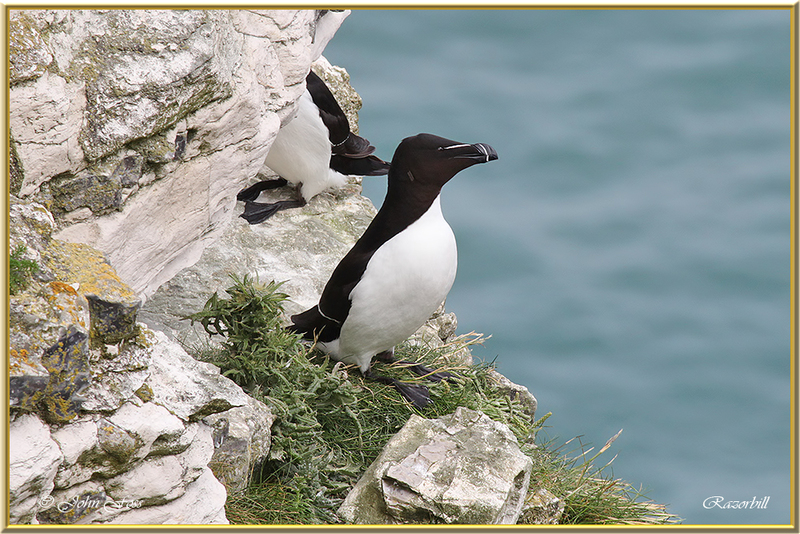 Eats sand eels, herring, some crustaceans and marine worms. Flies fast and direct low over water. 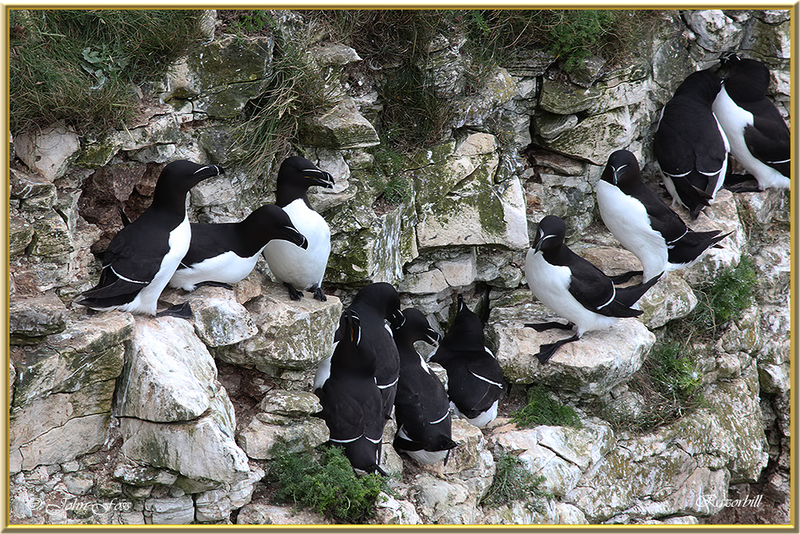 A group of Razorbill's all tend to dive and rise at the same time as synchronized swimmers! 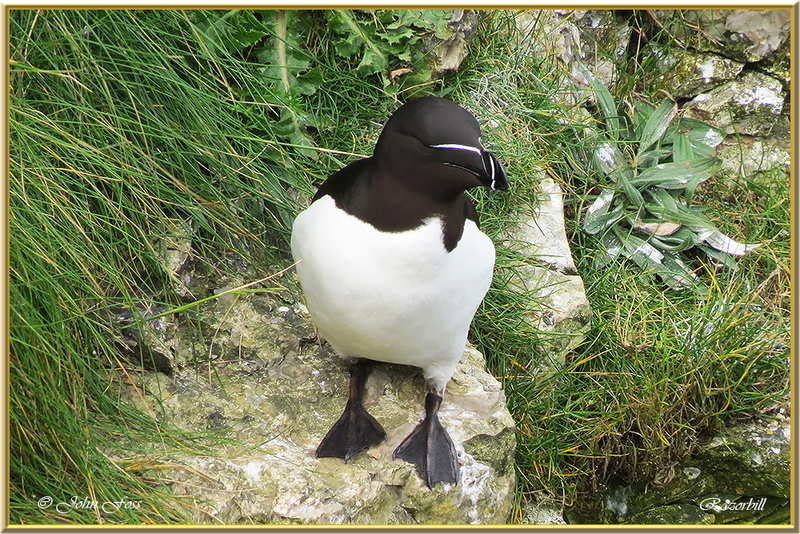 Recognised by the crossed white groove down the deep blunt beak and a white loral line. 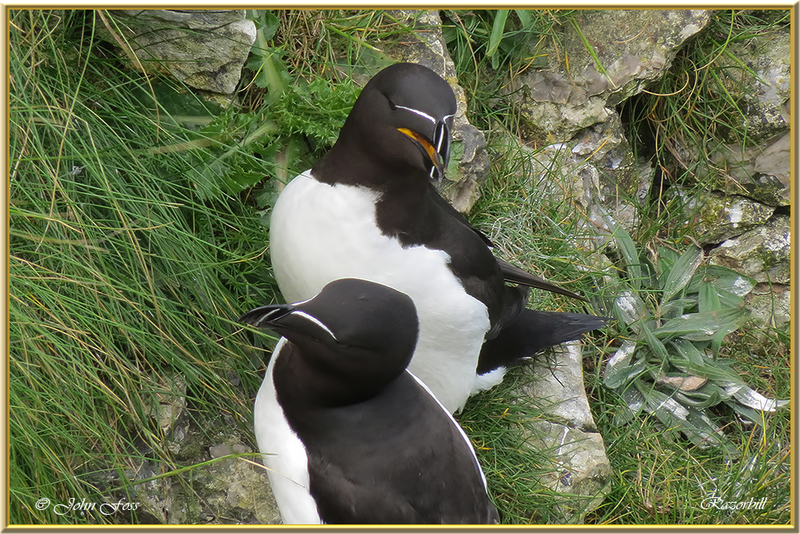 Photographed at Aughris Head Co. Sligo and Bempton Cliffs East Yorkshire.